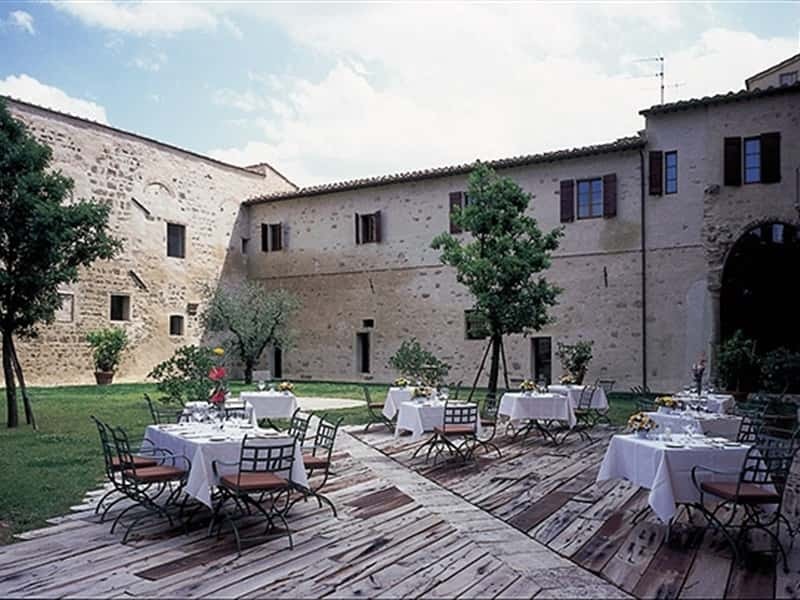 Hotel Relais della Rovere is in Tuscany, at Colle Val d'Elsa, in an area from which guests have a suggestive view over the town. 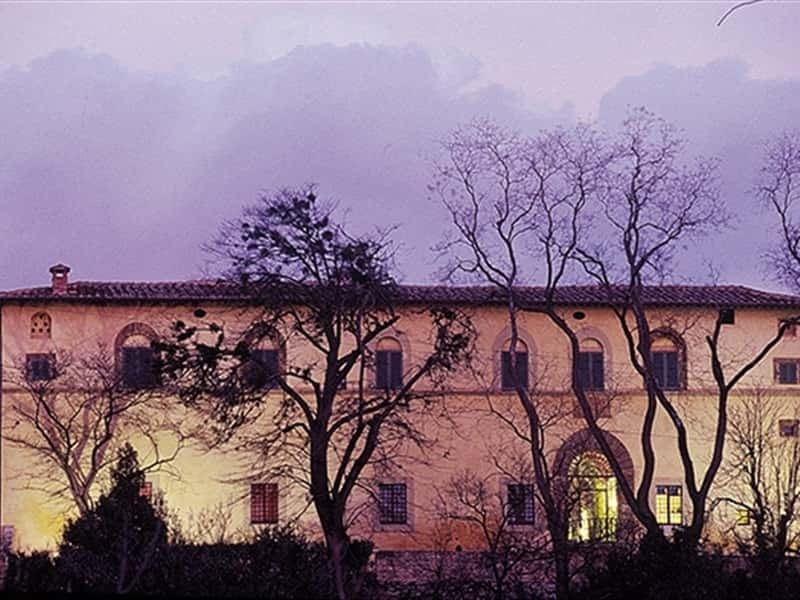 Thanks to its strategic location between Siena and Florence it is the ideal base from which to visit the best sites and locations Tuscany has to offer. 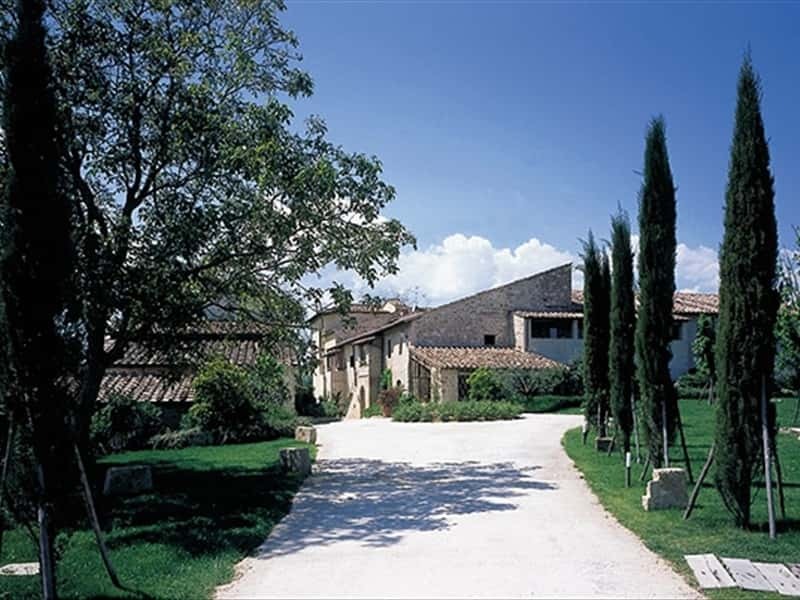 The Relais della Rovere welcomes its guests to a refined and exclusive ambient in the charming Tuscany countryside at Colle Val D'Elsa, offering charm, warmth, and great attention to our Guests needs and requests. 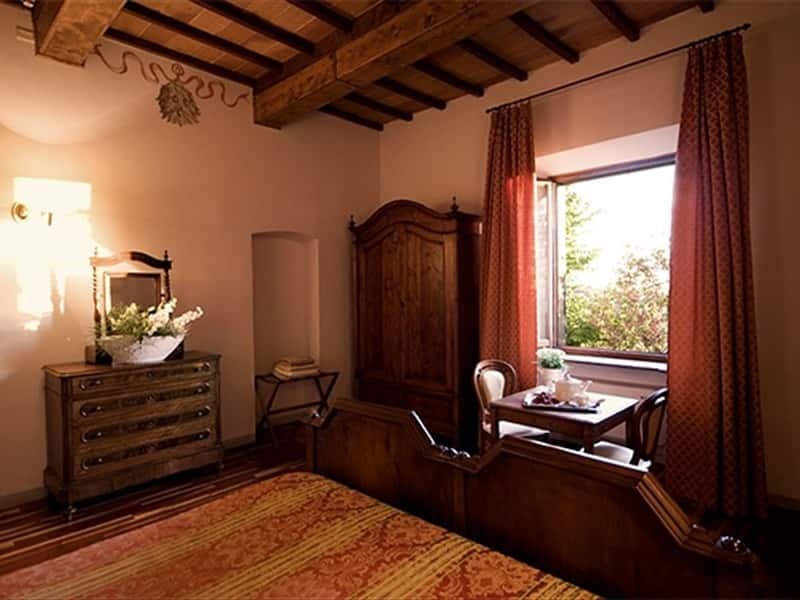 The hotel consists of three buildings of different origins representing a true journey through time, starting from the year 1100 up to the mid-eighteenth century: a Benedictine monastery, a renaissance villa and a farmhouse. 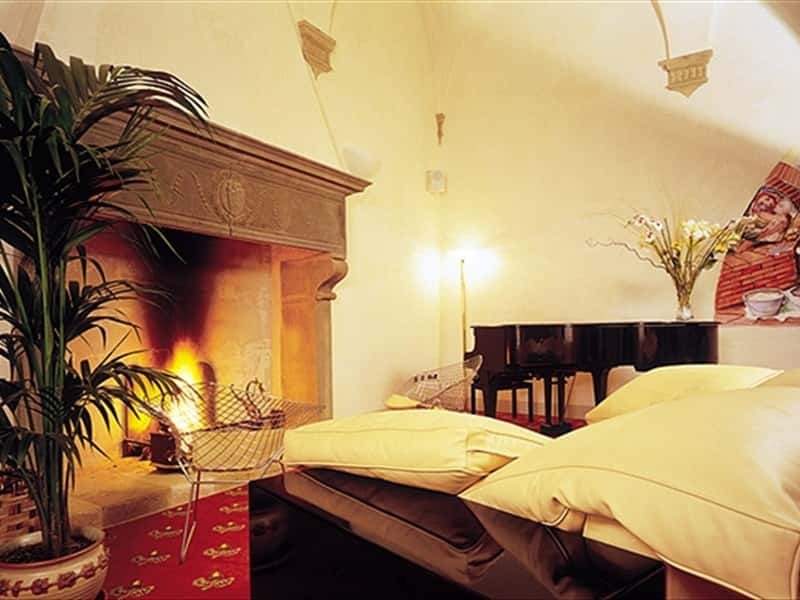 The hotel's great salons are to be found in both the monastery and the villa, connected by a bright passageway which faces onto the inner cloister of the building. 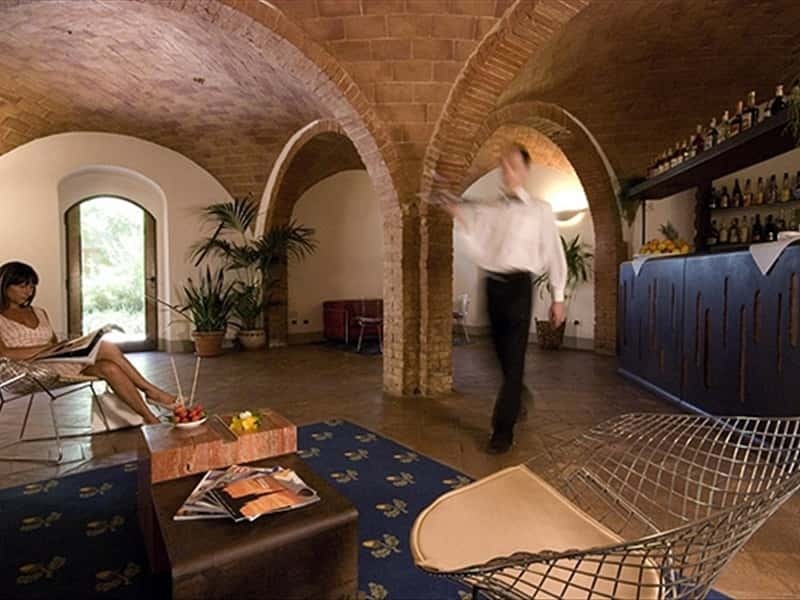 The hotel is in the midst of a secular park, rich in vegetation typical of the Tuscan maquis. 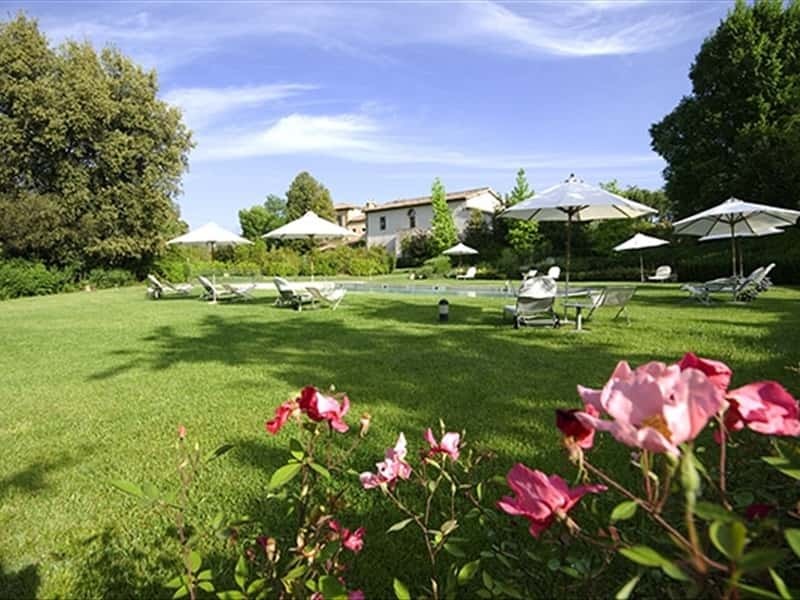 Hotel Relais della Rovere features a great outdoor travertine marble swimming pool, with sunbeds and umbrellas, an invitation to relax and enjoy your tuscany holiday. The 30 hotel rooms are located throughout the Relais' three buildings; all have en-suite bathrooms with either a tub or hydro-massage shower and are equipped with satellite TV, mini-bar, hair dryer, an outside phone line, air-conditioning and heating which can be regulated by the client, electronic safe, heating, a personalised line of cosmetics and a modem connection. The furnishings, materials and colours used reflect, as far as possible, those originally used in these buildings. The furniture of the monastery building has been custom-made, with a somewhat more modern flavour which, in the context of the open ceiling beams and parquet flooring, render the ambient warm and welcoming. 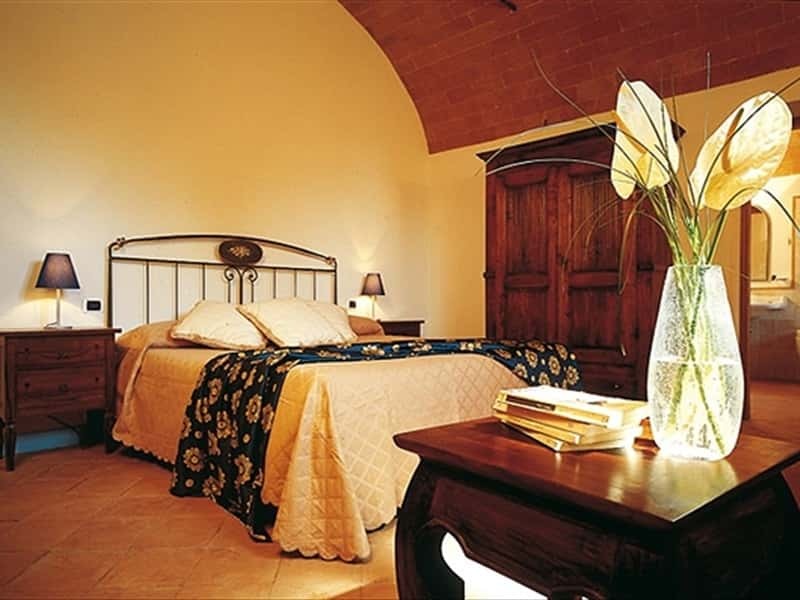 In the farmhouse building the wrought iron beds decorated with the original drapes blend prefectly with the terracotta floors and beamed ceilings, whilst the furnishings are original '800 Tuscan antiques. 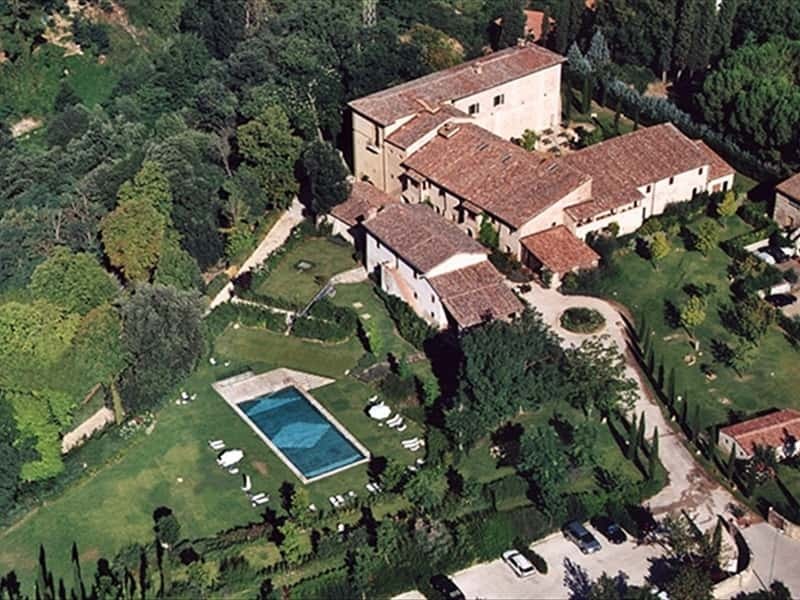 Luxury and riches of Tuscany are certainly most evident in the villa: bathrooms in pink marble, precious tapestries, antique prints and engravings, along with typical beamed ceilings. 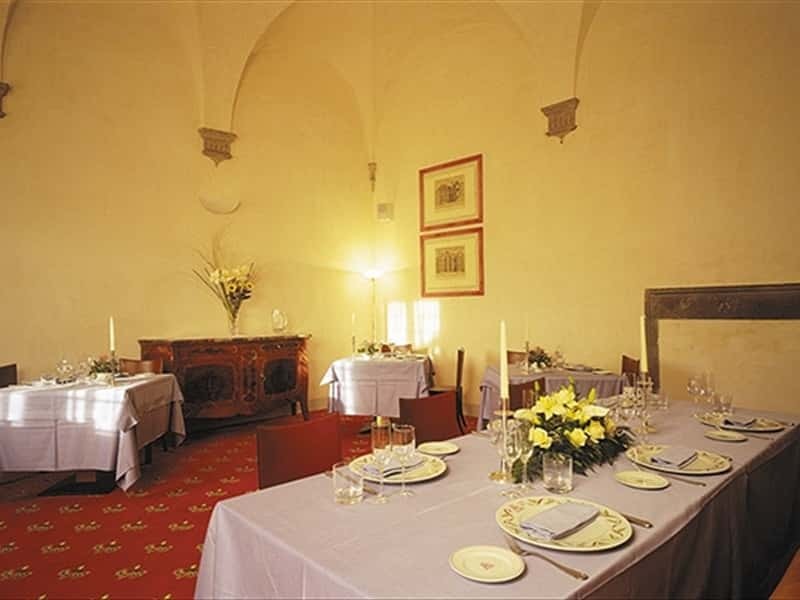 In the ancient cellars of the villa the restaurant "Il Cardinale" offers local cuisine of Tuscany, bringing to life the traditional Tuscan dishes and offering a wide variety of local wines, as well as other Italian and foreign ones. The careful selection of ingredients used in each recipe, prepared according to the season, the traditional cooking techniques, offer a unique gastronomical experience for those seeking a original tastes in a quiet and relaxing ambient. In the cloisters, during summer evenings, charming dinners are served by candlelight. 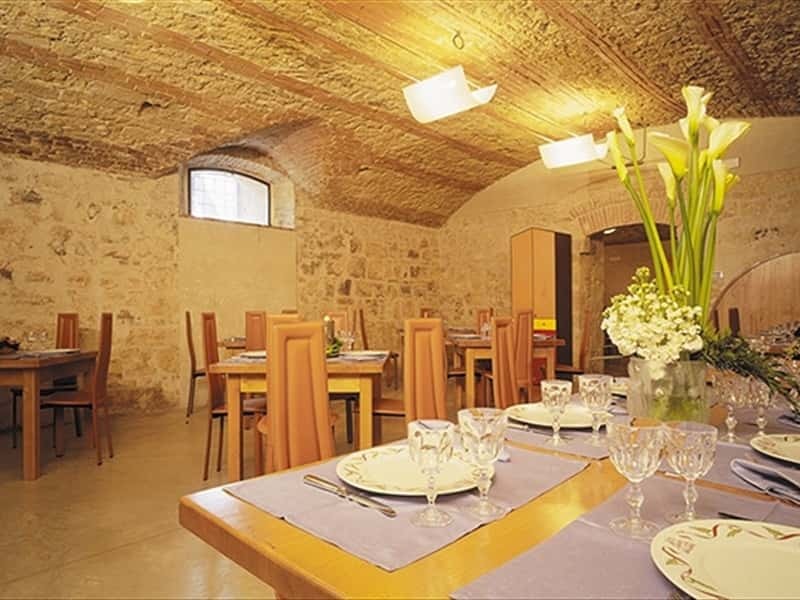 Ideal for wedding receptions, birthdays, banquets and feasts, company dinners, wine tasting and gastronomic meetings of all types, the restaurant is open also to the general public. This structure web page has been visited 30,909 times.